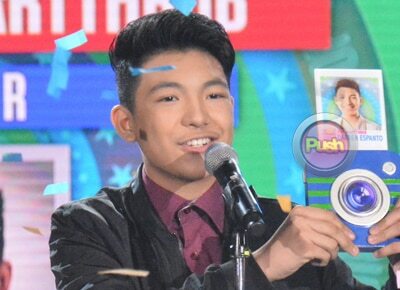 Young Kapamilya singer Darren Espanto dominated the public voting results of the category ‘ASAP Pop Heartthrob’ in the recently-concluded ASAP Pop Teen Choice Awards on Sunday, December 11. He garnered 58.98%, besting out nominees McCoy de Leon (19.81%), Ronnie Alonte (12.62%) and Bailey May (8.59%). At the young age of 15, Darren has already developed a loyal following who never fails to support him in all of his endeavors and even nominations from award-giving bodies.